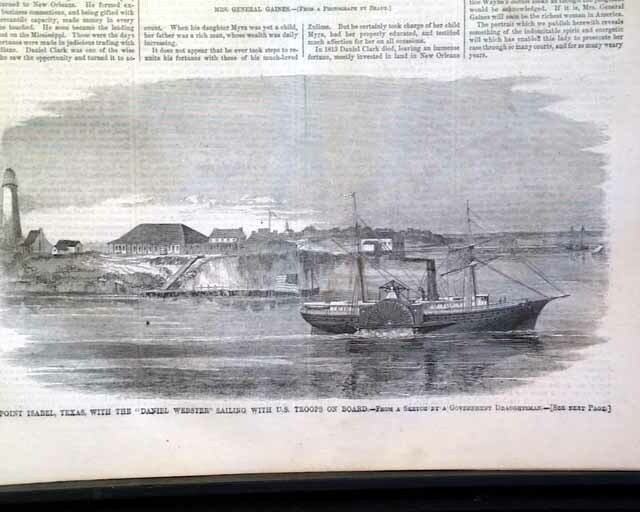 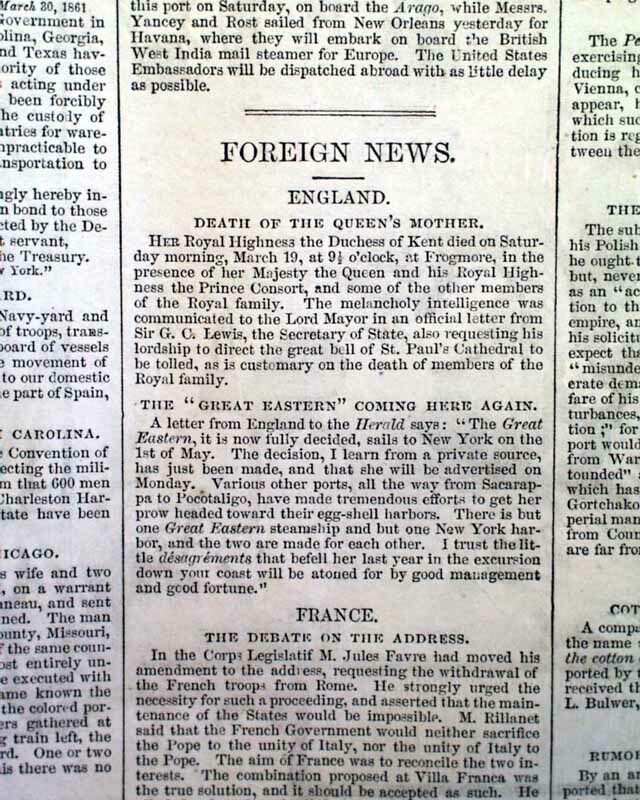 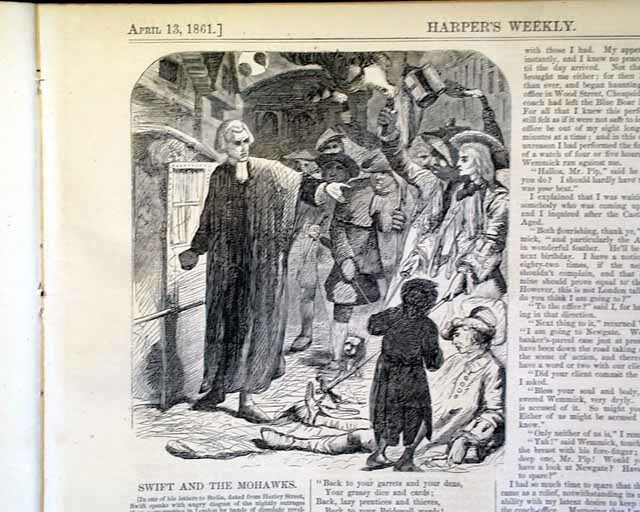 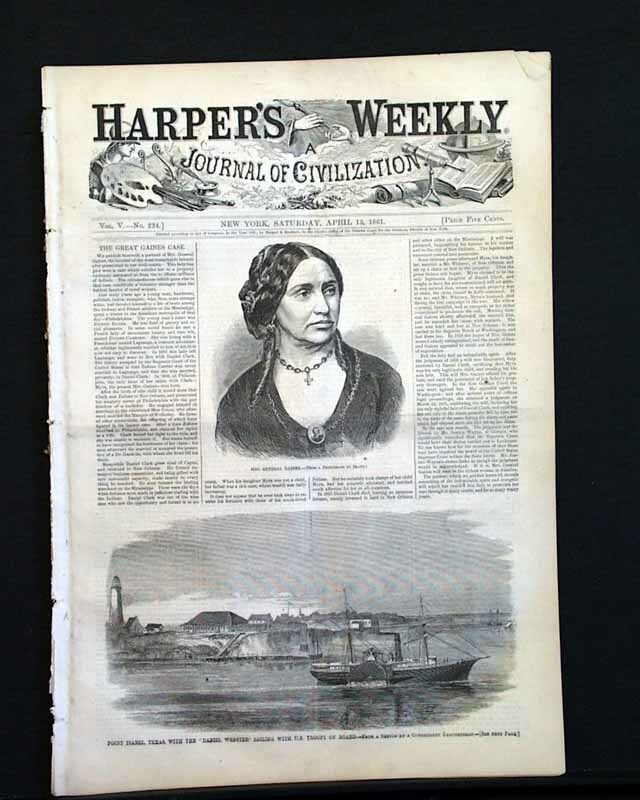 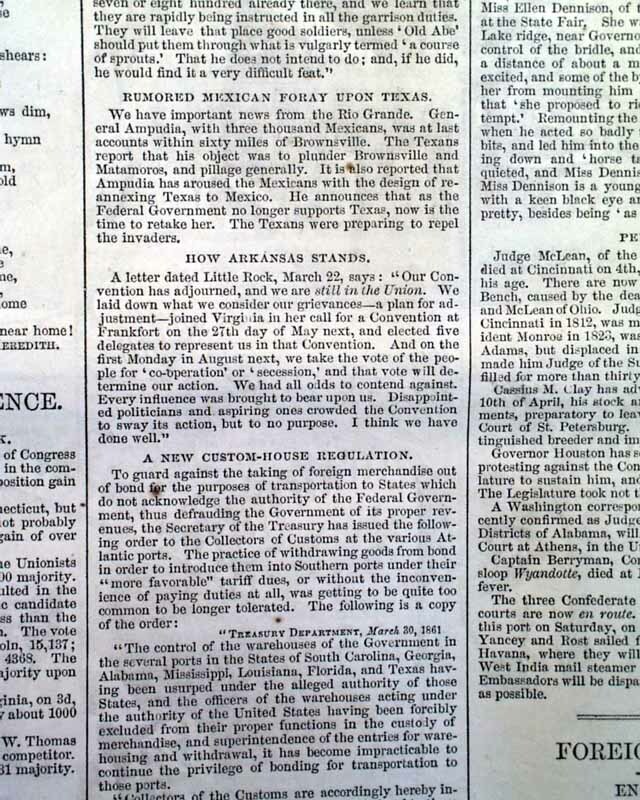 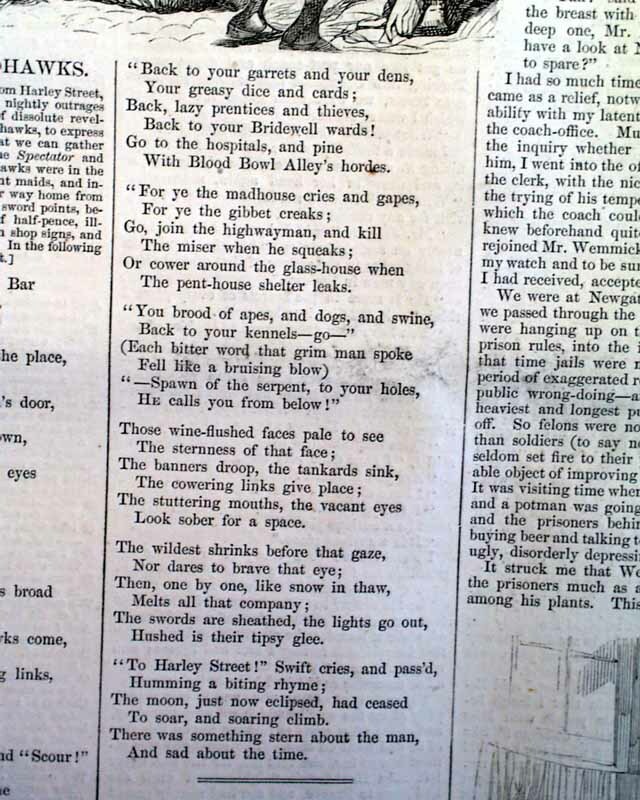 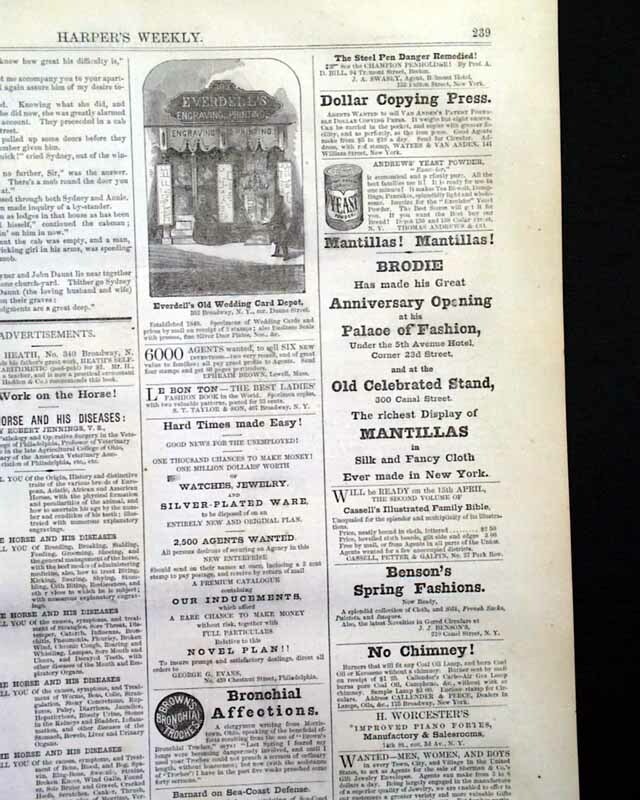 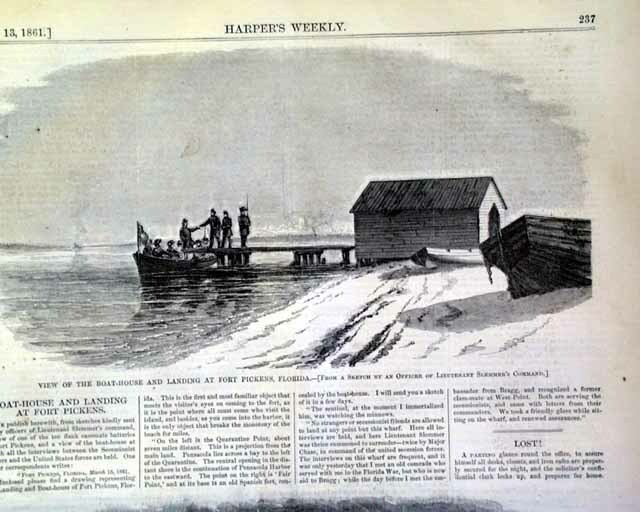 HARPER'S WEEKLY, New York, April 13, 1861 The front page has a print of: "Mrs. General Gaines" as well as a view of "Point Isabella, Texas, with the 'Daniel Webster' sailing with U.S. 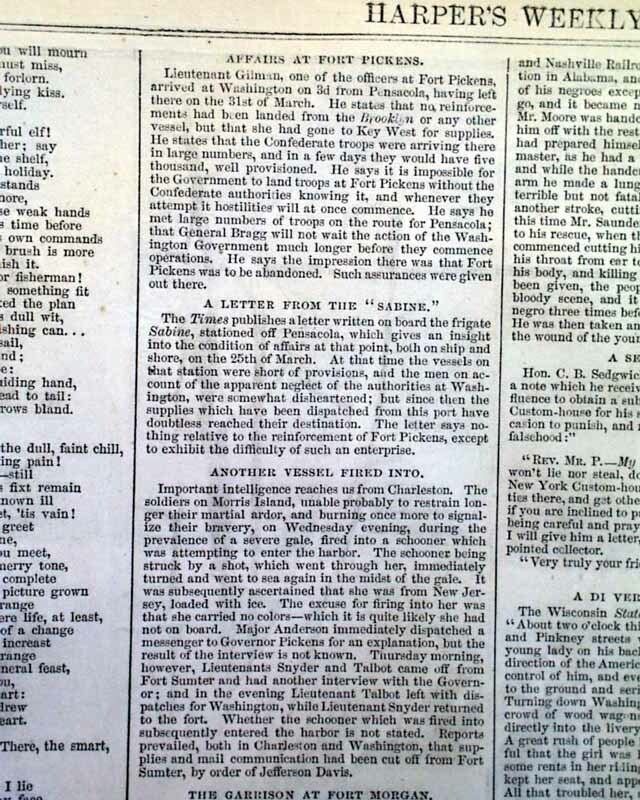 Troops on Board". 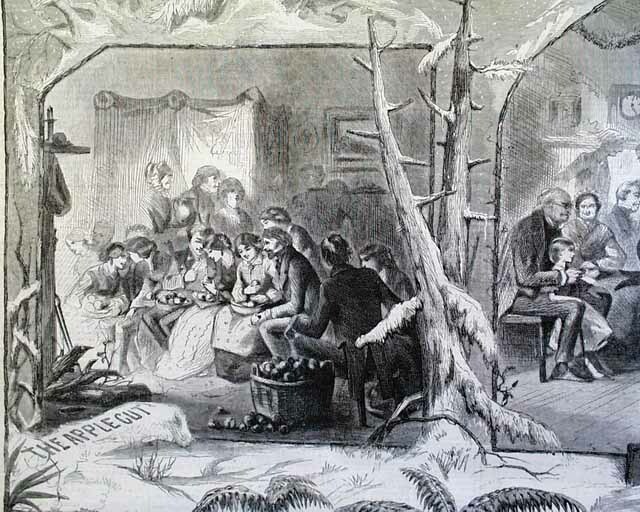 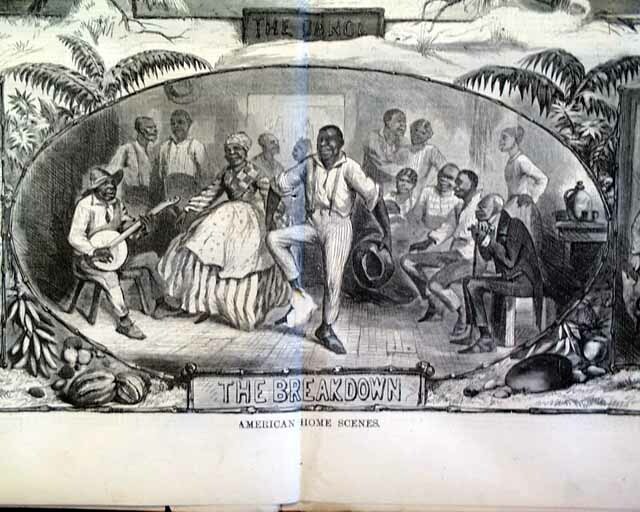 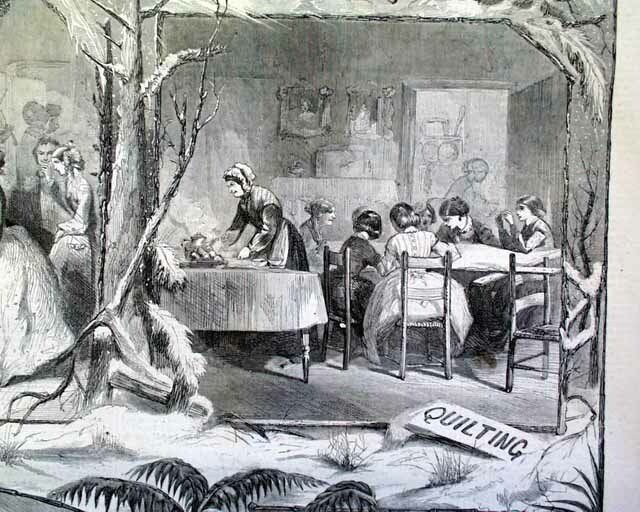 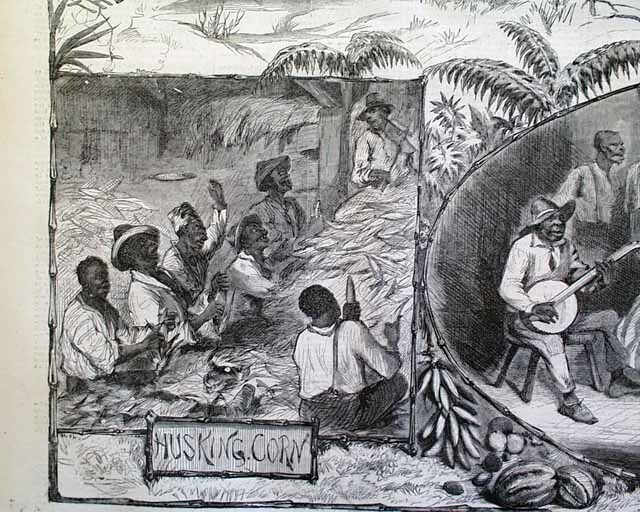 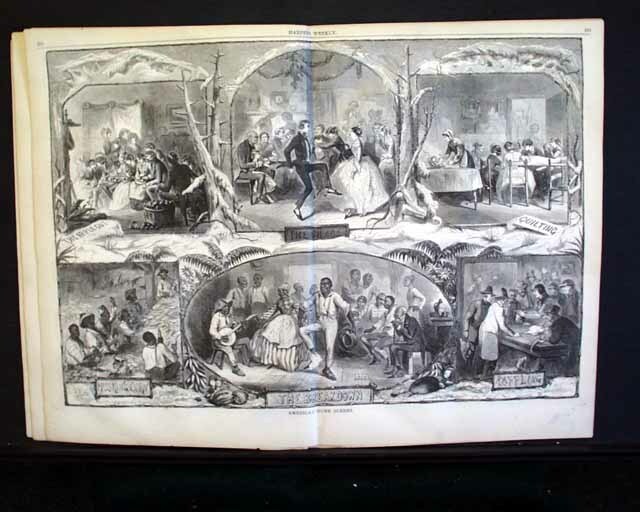 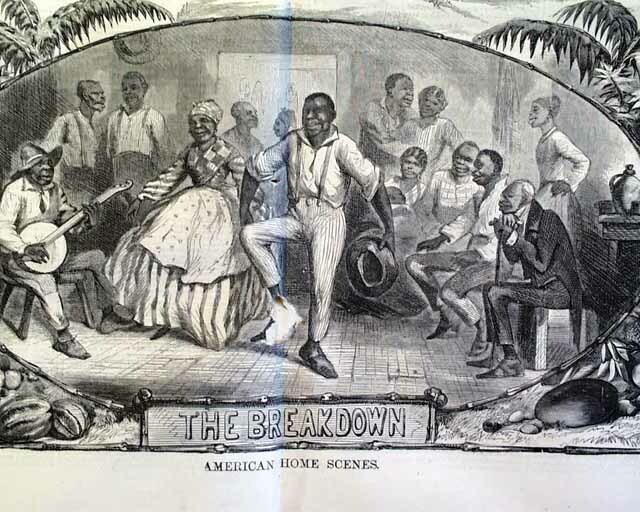 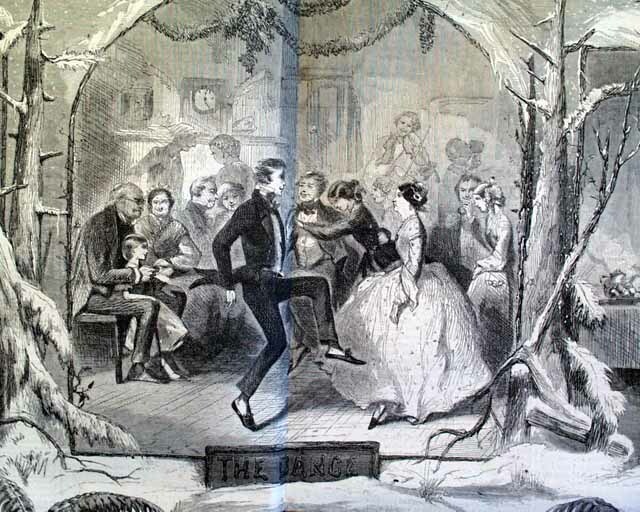 The doublepage centerfold shows six "American Home Scenes", which includes prints of "The Applecut" "The Dance" "Quilting" "Raffling" "Husking Corn" and "The Breakdown", the latter two being African-American scenes (see). 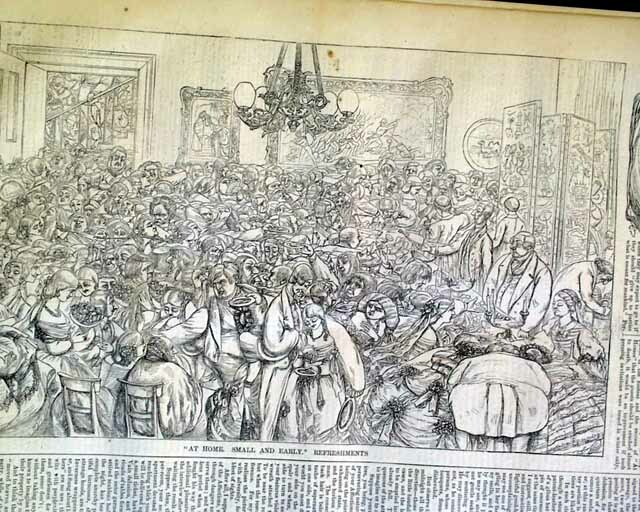 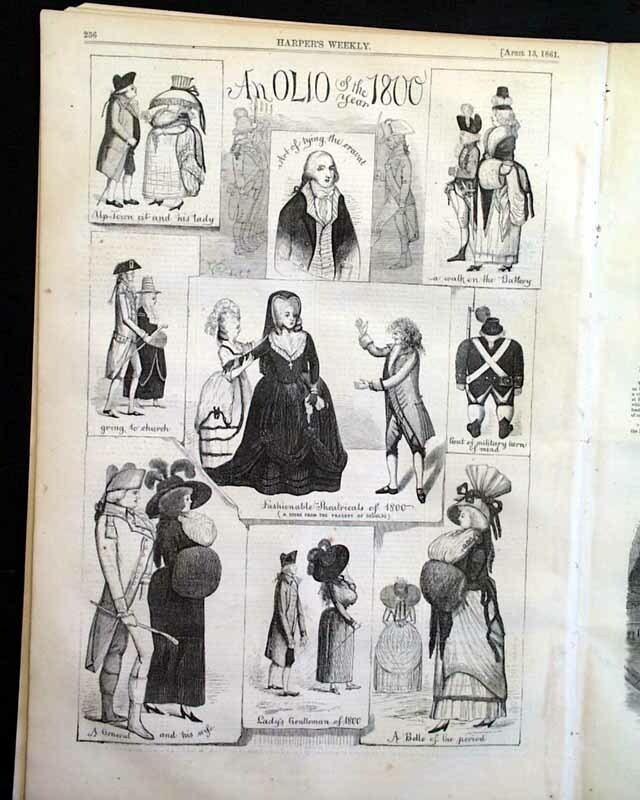 There is a full page with 9 satirical prints of fashion from 1800, headed: "An Olio of the Year 1800". 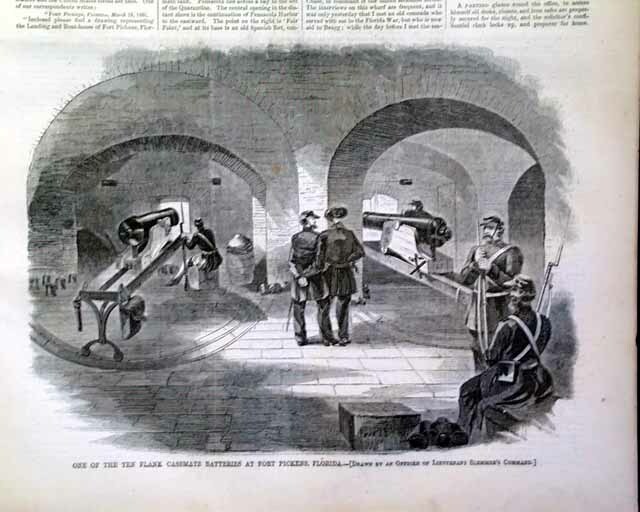 There are also two prints captioned: "View of the Boat House & Landing at Fort Pickens, Florida" and "One of the Ten Flank Casement Batteries at Fort Pickens, Florida". 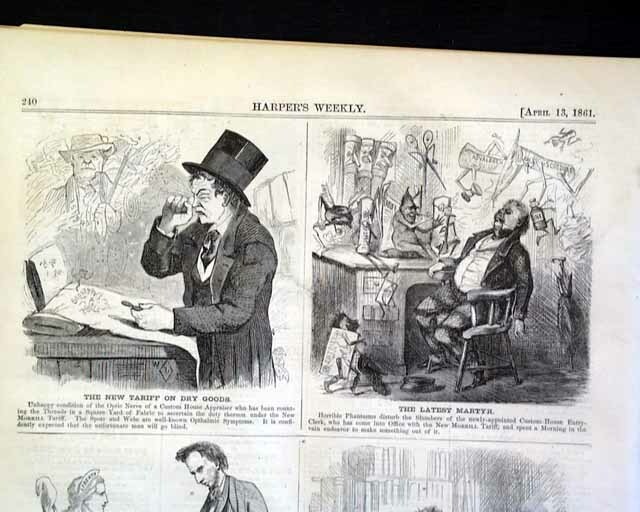 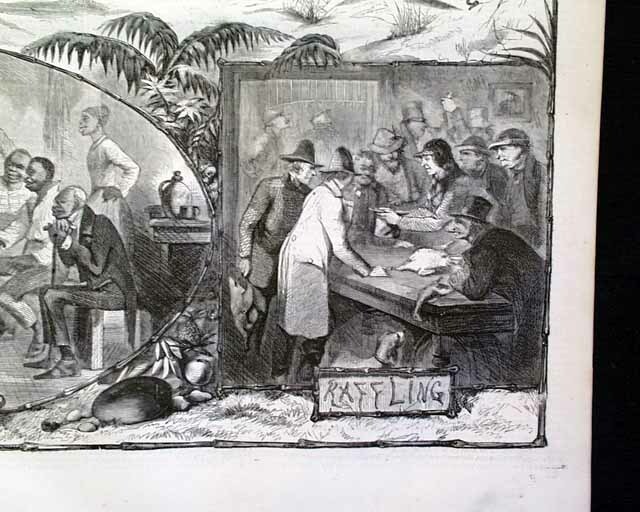 The back page has 4 political cartoons, one of which features Abraham Lincoln. 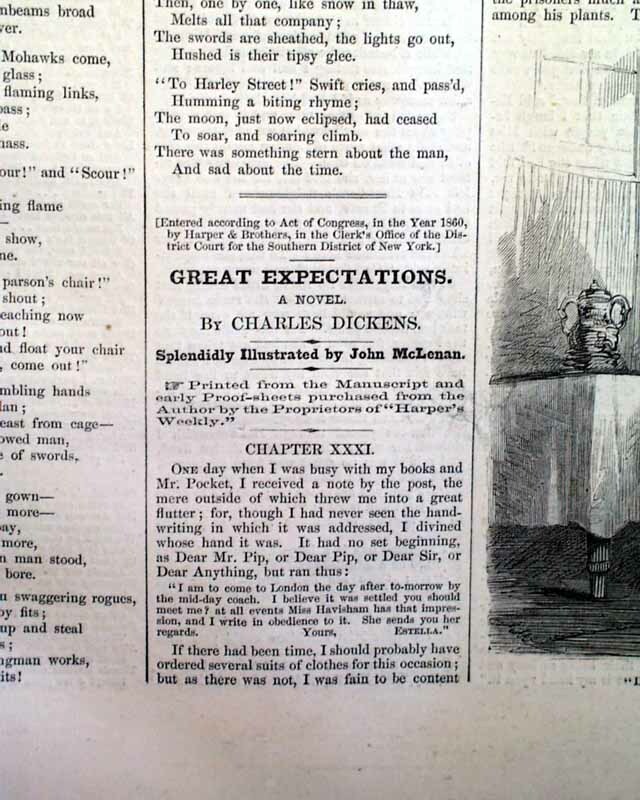 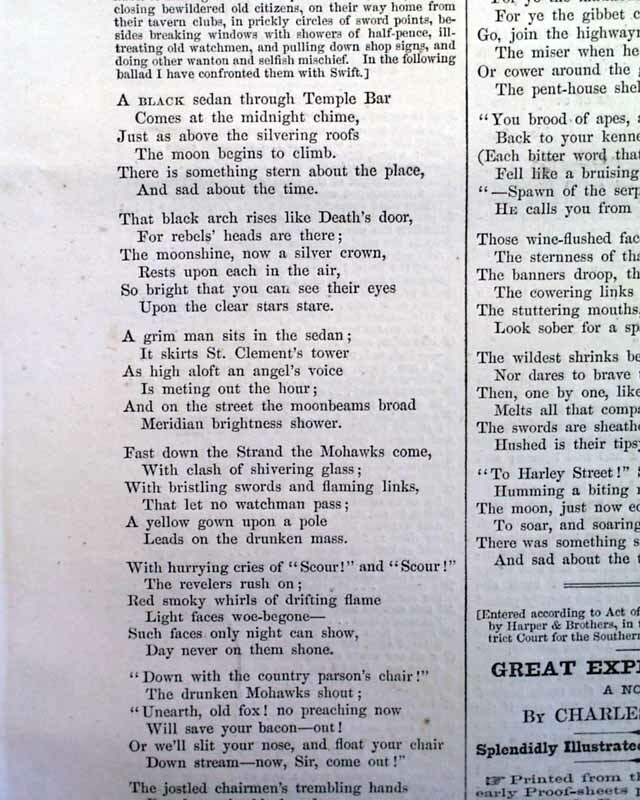 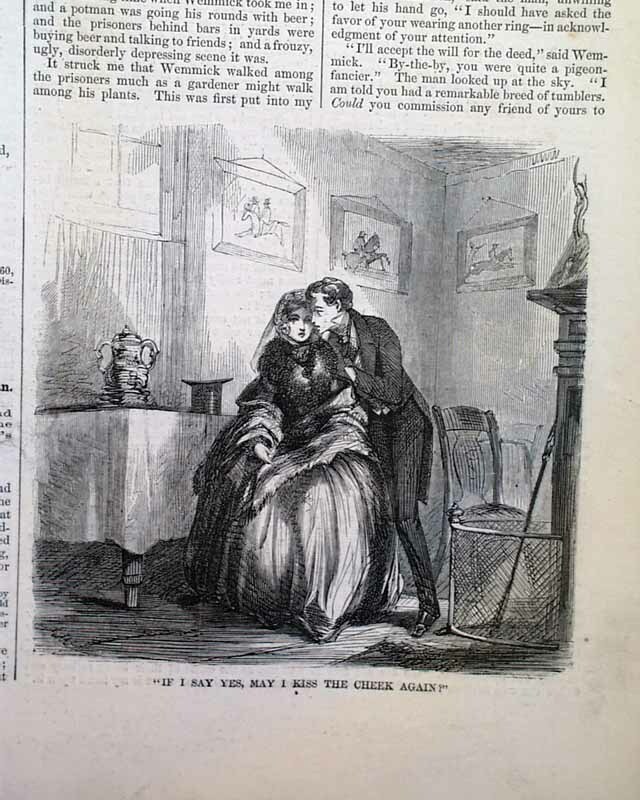 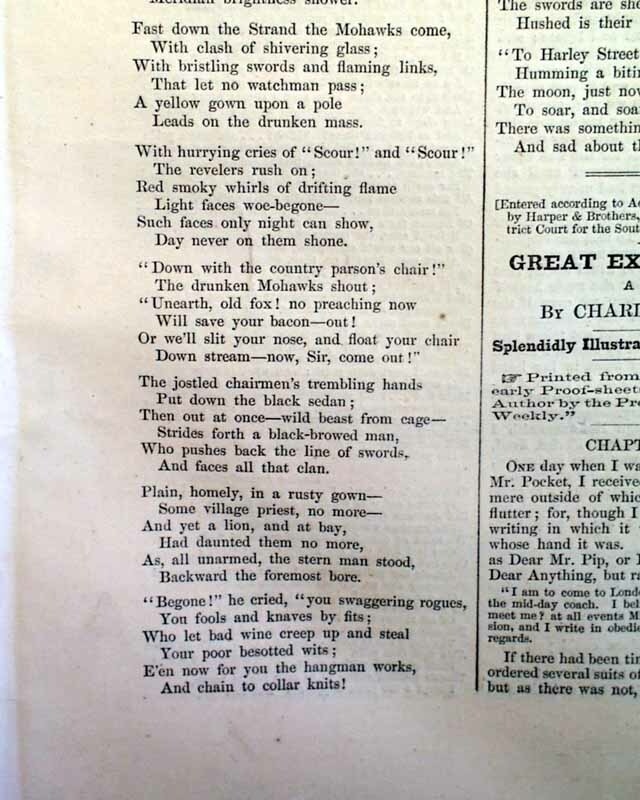 There is also a serialized portion of "Great Expectations" by Charles Dickens. 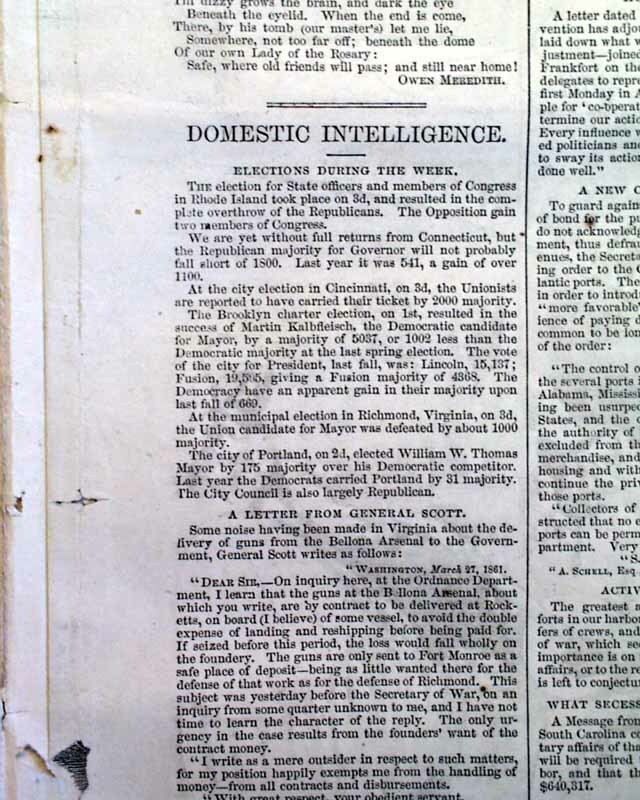 Sixteen pages.